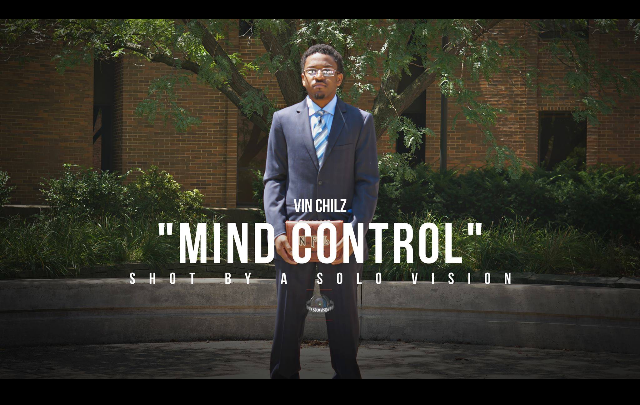 Vin Chilz's music video, Mind Control, shot by A Solo Vision dropped on November 7th, 2017. Individuals who immerse themselves in the fundamentals of the hip-hop genre will enjoy this song. Listeners who usually don't listen to rap will also be able to identify with this song. ​Throughout the song Vin Chilz's views on life are juxtaposing due to his negative and positive perceptions. He is battling his own mind trying to figure out what voices in his head to listen to. Ultimately, the song centers around the notion that Vin Chilz is battling himself. The music video depicts Vin’s visions as a dream although it is an illustration of his reality. ​In the beginning of the video he takes a pill because he has a headache. The pill represents the truth being “hard to swallow” and by chewing the pill instead of swallowing it, he is trying to avoid the truth. A brain is then displayed on the screen symbolizing that Vin is falling asleep and entering his subconscious. As he is falling asleep in reality he is waking up in his subconscious and the lighting shifts from dark to light because his mind is being elevated. He is then presented with two versions of himself. The first version is a child that feeds off of negative energy and is seen in colorful clothing. This version is wearing headphones because he wishes to be isolated from the world. However, the world has different plans for him after he is strapped to an operation table for mind redevelopment. The other version of himself is shown as a preacher who is hypnotizing the child like version through the messages of the book of life. While preaching he is performing a mental exorcism and the childlike Vin is in white lighting surrounded by a blue circle. The blue circle symbolizes the eye of a higher power while he is lit in all white signifying mind purification. Beams of light passing by while he is on the operation table represents his negative thoughts moving at rapid speed as they are transforming to positive thoughts. As the video progresses the preacher and the child like Vin merge as one symbolizing his thoughts balancing out and foreshadowing his return to reality. In the end, he returns to reality with the headphones on and disposes of them and the pills because he figured out reality can only be positive if you open yourself up to the world.